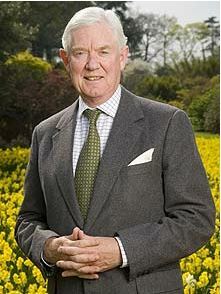 In 2004, Peter Buckley, whilst Prime Warden of The Worshipful Company of Shipwrights, attended a service at All Hallows by the Tower. Sitting next to him was his friend, maritime colleague and P&O man, Robert Woods, who rightly extolled the brilliance of the P&O window. 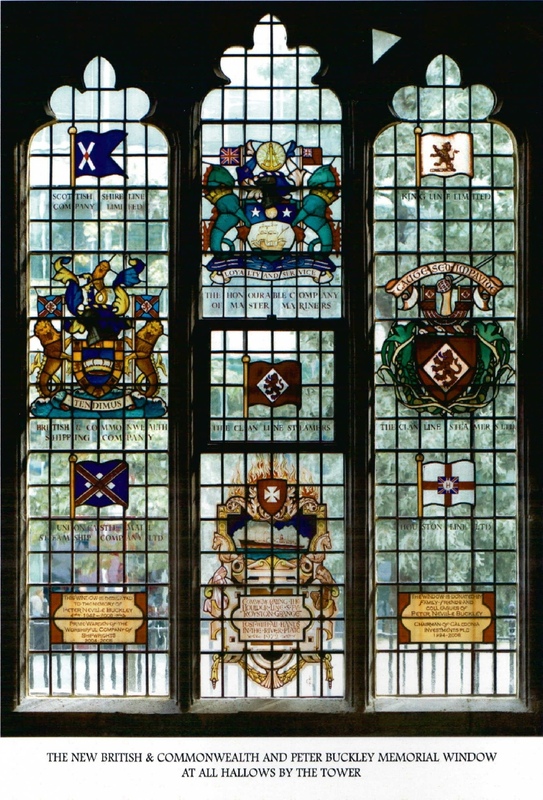 In contrast, at that time the British & Commonwealth window was composed of a simple coat of arms, positioned in a dark corner. Peter was determined to have something that paid better homage to all those who had served under the family’s flag. When, in 2008, he sadly died after a short illness, has family, friends and colleagues felt that his wish should be fulfilled. The window also honours the Honourable Company of Master Mariners and our seafaring brothers so tragically lost on Royston Grange in 1972.